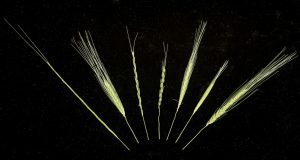 The domestication of wheat turned a grass into a crop. Millennia of breeding improved agronomy, seed size and nutrient, and made wheat into one of the world’s most important food sources. This systematic crop improvement however proved to be a bottle neck for diversity such as resistance to biotic or abiotic stress. Today we look back to the original wild relatives to unlock traits that have previously been left behind. We have formed an international consortium with strategic interests in Triticeae breeding, genomics, genetics, pathology, and germplasm collection, preservation and distribution. Current countries represented include the UK, Germany, Israel, USA, Mexico, Australia, India, Iran and Tajikistan. © Open Wild Wheat 2019. Affluent theme by CPOThemes.